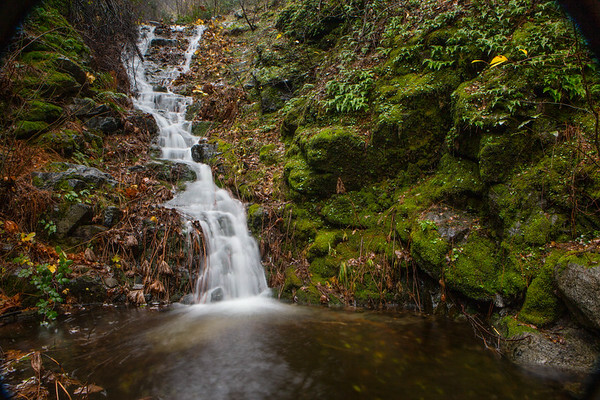 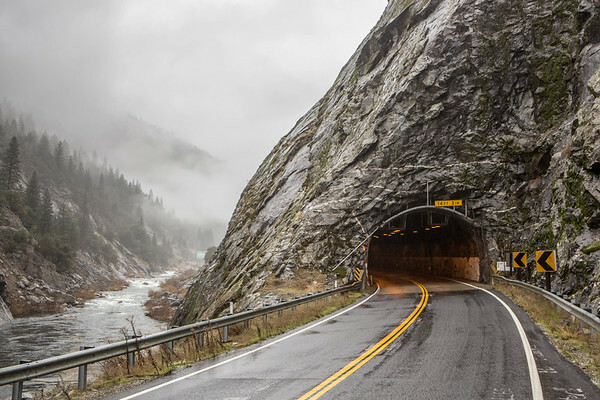 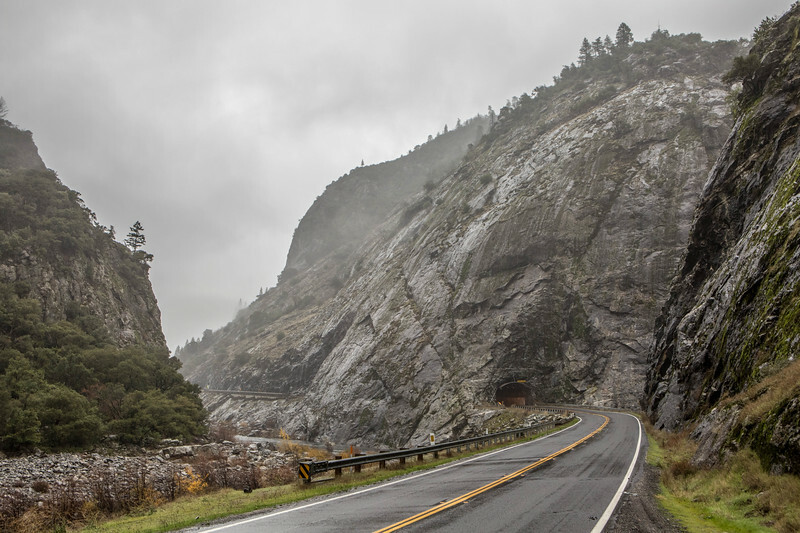 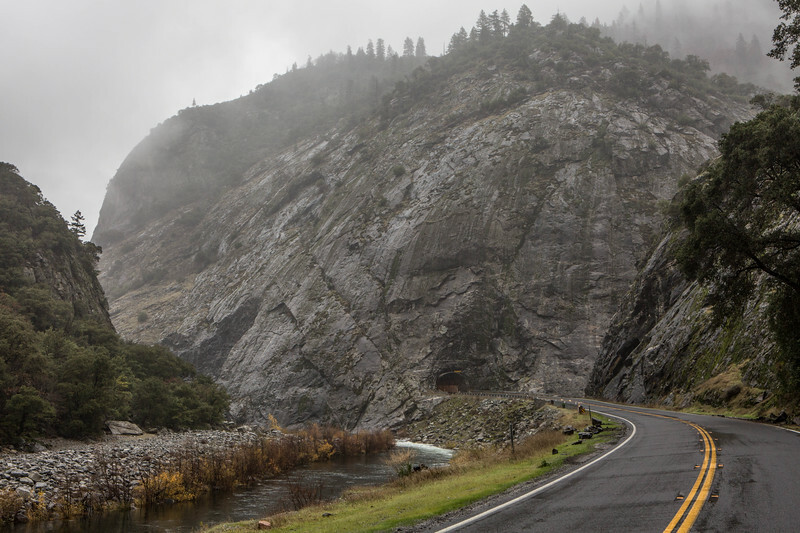 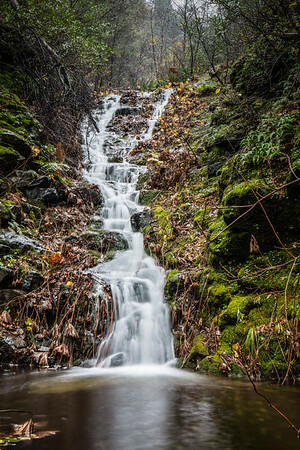 The Feather River Canyon drops down onto the eastern slop of the Sierra Nevada. 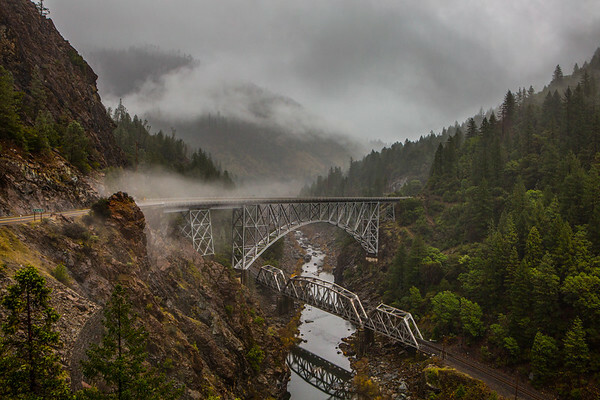 It has to be one of the coolest areas I've been to with its steep rugged canyon walls, railroad bridges and the Feather River. 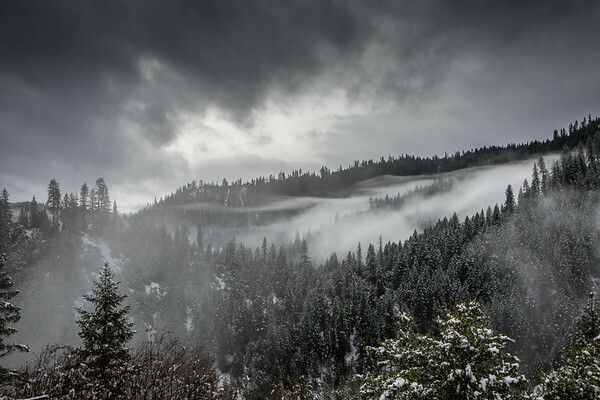 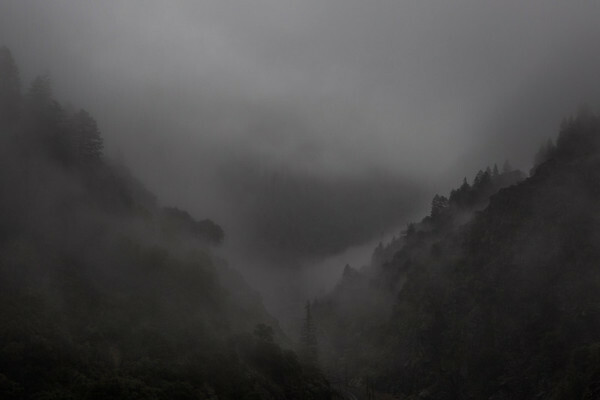 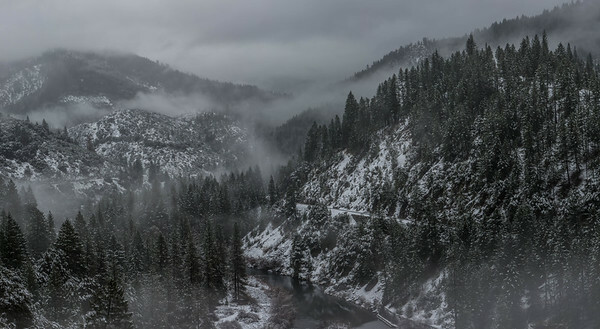 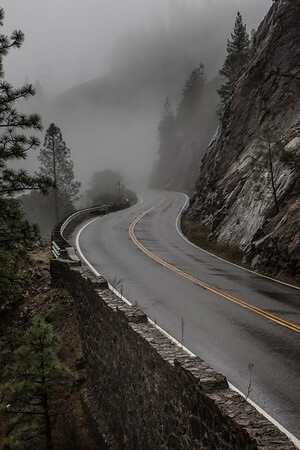 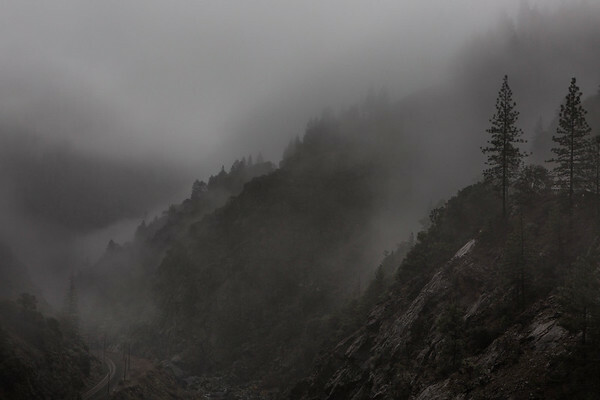 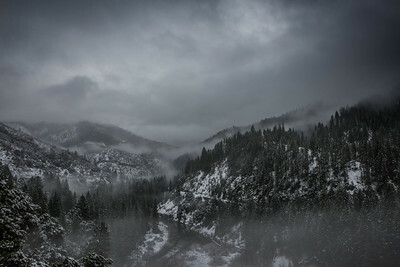 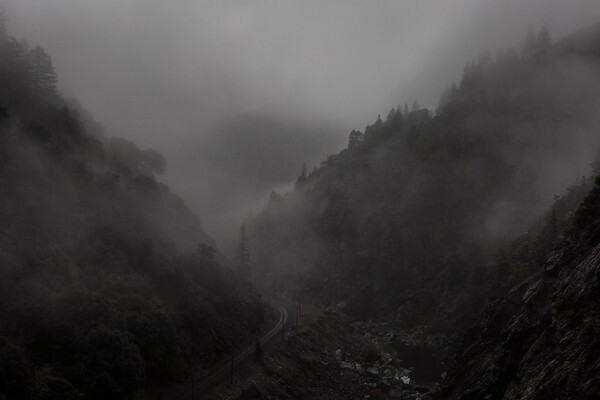 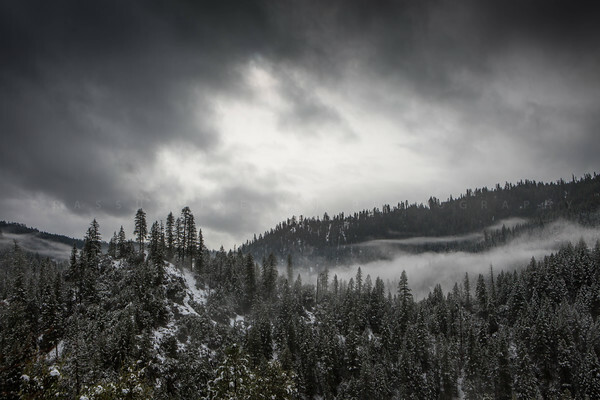 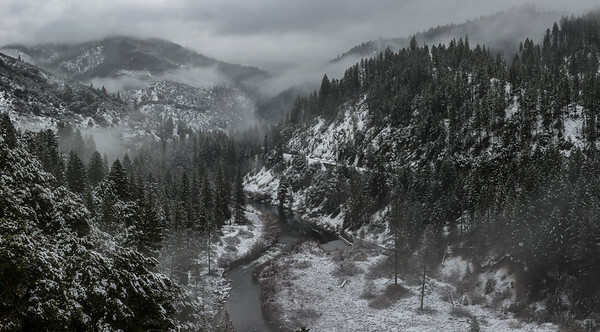 Winter hits the Feather River Canyon, CA. 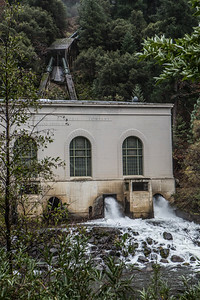 A hydroelectric power station. 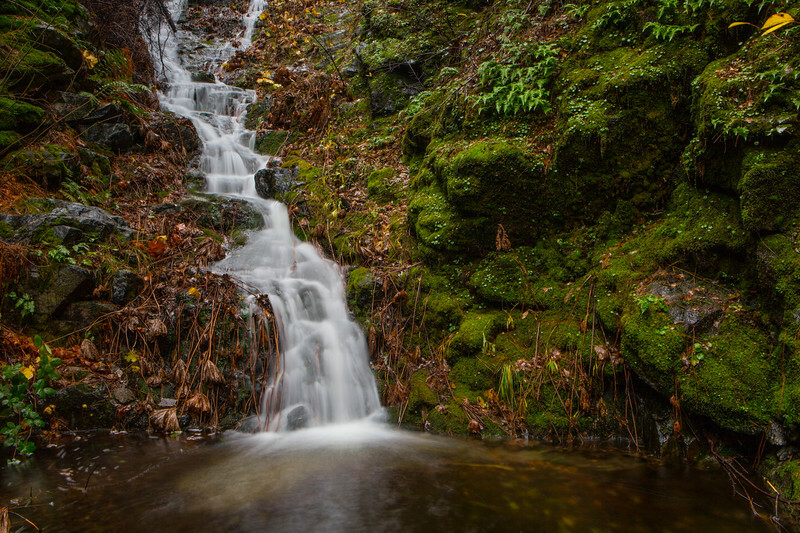 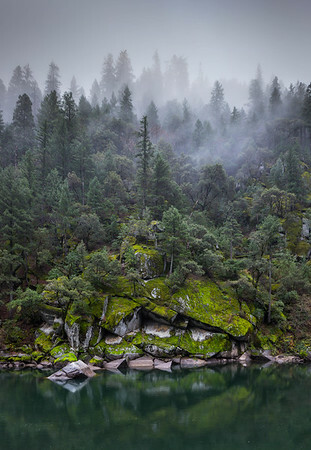 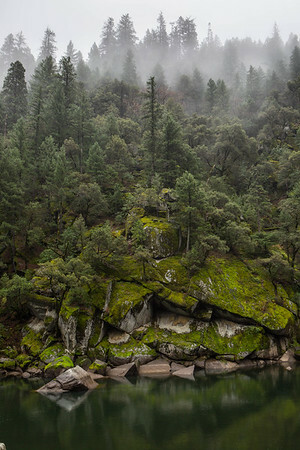 Feather River Canyon, CA.